This is JoJo back in 2005. She was 22 years old when she passed May 15th, 2013(? ), and I buried her myself. 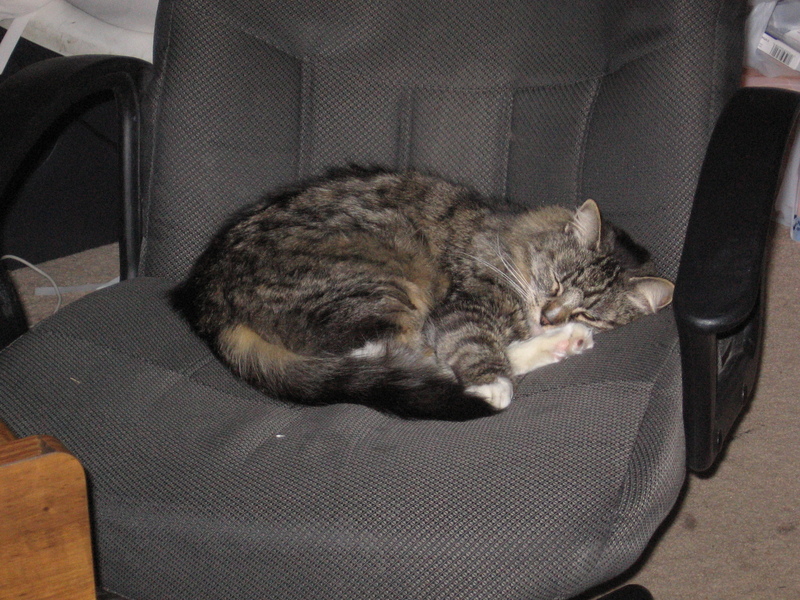 Best cat I have ever known, and oddly enough, apparently I knew exactly when she passed. She was ill, and it was likely she would not survive the day. Everyone was gone and had said their goodbyes, but I was home. It was a warm day, and I knew that I’d need some liquids when it came time to dig her grave. I went in to comfort her, and she was clearly not seeing nor blinking, but still alive. I petted her, said I’d be right back, that I had to go to the store for something to drink, and went to stand up. She grasped out at my hand with a feeble meow, but I felt there was no time to waste. I walked out of the room, started to shut the door (we usually shut her in the master bedroom to keep her safe from the dogs, fragile as she was) then stopped. “JoJo, I promise, I will never close you in here again. I’ll be right back”. On the way back from the store I approached a stop sign, and as I did I could see, sense, JoJo. “Oh JoJo, did it hurt?” I heard myself say. Then I was back to this world. I did not rush home, I knew, and I was right.